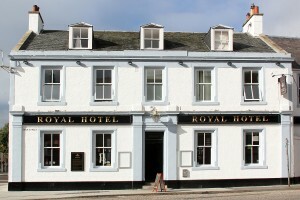 The Royal Hotel building was built in the 1790’s on the site of an old Inn to accommodate travelling horses and their riders. This famous landmark has been used over the years to aid the community as a meeting place in Penicuik. This is a purpose that we still hold true today. There is free parking nearby and we have free Wi-Fi in the restaurant and bar, next door to the restaurant is the Royal Hotel Bar where we serve a wide selection of beers, wines and spirits. A wide variety of entertainment is provided on Friday, Saturday and Sunday; including discos, karaoke nights, and live music. Our sports bar is equipped with Sky Sports and we show all the premiership games. 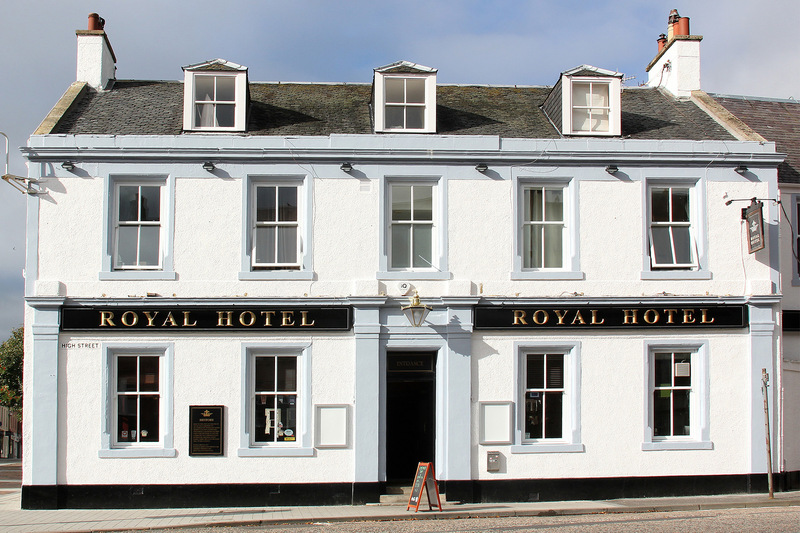 When you are looking for a location for functions in the Midlothian area make the right choice and come to The Royal Hotel. Our hotel is ideally located in Penicuik and is an ideal base should you wish to take in the sights of Edinburgh. Call us today for more information or to arrange a booking.